Shamima Begum became an international news story in February 2015 as part of the “Bethnal Green girls”, three teenagers from London who left Britain to join the Islamic State (ISIS). Almost exactly four years later, Begum was discovered in eastern Syria, as she fled the remnants of ISIS’s “caliphate”. A firestorm was ignited in Britain at the suggestion that Begum should be allowed to return and within days Begum had been stripped of her citizenship by Home Secretary Sajid Javid, raising a host of uncomfortable moral, legal, and political problems that have plagued British policy-making around foreign terrorist fighters (FTFs). The truth is, however, that Begum presents a rather ambiguous case—on all fronts. Begum is only 19-years-old and was only 15 when she left Britain. It is fair to note that most wayward teenagers generally resist joining ISIS, but the fact she was not an adult and can be said to have been groomed and recruited by terrorists should be part of this assessment, too. Begum had already lost two children conceived while in ISIS-held territory, and another one died last week. Beyond the tragedy, the British state had a responsibility to these innocents. Britain was one of the few states in Europe to utilize its ability to strip terrorist of citizenship early in the Syrian crisis. Under international law, people cannot be stripped of citizenship if it would render them stateless. There is a case to say that the practical situation this sets up—where dual citizens are vulnerable to penalties that others are not—is undesirable, but this is established practice. What happened with Begum went a step further: she was stripped of British citizenship because the Home Office reasoned that, since her mother is a Bangladeshi national, Begum is therefore eligible for Bangladeshi citizenship, which she has never had, having never even visited Bangladesh. This is a new, destabilizing precedent for Britain domestically—and, unsurprisingly, one swiftly rejected by Dhaka. The harsher methods that Britain has countenanced to try to prevent FTFs returning to the country, from stripping citizenship to targeted killings, are due in part to the greater scale of the problem. Britain was the victim of one of the first foreign attacks by ISIS’s predecessor, all the way back in 2007, before suffering four ISIS attacks in the single year of 2017. 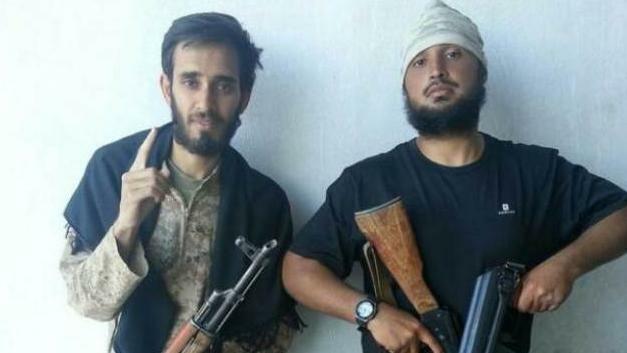 Between 2011 and 2016, 850 Brits joined the group that would become ISIS or Al-Qaeda, about a sixth of the European jihadist FTFs who went to Syria. Moreover, Britain has the highest FTF returnee rate in Europe: half of the jihadists, 400-plus of them, are back. Only Turkey, Tunisia, and Saudi Arabia have more FTF returnees. Just 40 British FTFs have been prosecuted. One of the clearest policies on FTFs was adopted by Australia, which between December 2014 and November 2017 simply made it illegal to enter Raqqa province “without a legitimate purpose” and has a blanket ban on providing “any kind of support to any armed group in Syria”. This has meant that Canberra does not struggle with the inconsistencies in policy seen elsewhere in the West when it comes to those who have joined the Kurdistan Workers’ Party (PKK), about which Australian law is admirably clear. Europe has been somewhat more muddled. In Europe, there has been a sliding scale of responses, from Denmark at one end, offering support for reintegration to returnees, to France at the other end, which has been prepared to allow its citizens to be tried in Syria and Iraq, ostensibly only where a fair trial is available, though it must be known that such chances are remote in either place. (France is also reported to have sent its special forces to Iraq to pre-emptively eliminate those of its citizens who had joined ISIS.) Britain falls at some intermediate point on this spectrum. There is a law banning membership of proscribed groups, including ISIS, but this has proven difficult to use in practice. Since Britain did not—until February—have legislation in place akin to Australia’s, simply proving that somebody had gone to ISIS-held territory voluntarily was not enough. Security forces debrief those who have been to Iraq and Syria, but in most cases, without an admission or a social media trail, the options for dealing with them are quite limited. Referrals may be made to counter-extremism programs, though they are voluntary. And the individual may be placed under surveillance, an incredibly expensive, labour-intensive process, needing two-dozen intelligence operatives at a minimum to keep a 24/7 trail on one suspect. By its nature this requires prioritization, and the security forces will not always choose correctly. It tends to take evidence of an additional crime—whether funding or recruiting or engaging in terrorism while “over there”, and/or planning an attack once “over here”—rather than just good circumstantial evidence of membership in a terrorist group to secure a conviction of FTFs in Britain. Such was the case with Anis Sardar, an ISIS member in the previous FTF flow and the admitted creator of the 2007 roadside bomb that killed U.S. Sgt. Randy Johnson, who was fighting against ISIS as part of the coalition in Iraq. An additional problem is that even in cases where convictions are secured, sentences are brief and allowing jihadists into the prison system can cause problems of its own, giving these ideologues access to a pool of people socially and psychologically more receptive to their message than the average. This catch-and-release policy was among the most damaging mistakes in Iraq that allowed ISIS to revive after 2007-08. In Britain, the archetype is Anjem Choudary, a prominent IS supporter and recruiter based in London, finally imprisoned in August 2015. Just over three years later, Choudary was free. This year, Europe will release 1,500 convicted terrorists; it is not possible in free societies to surveil such a vast cohort. Javid’s decision about Begum was popular and in many ways that was the primary problem with it; it was significantly a political decision, and one that might yet be defeated by the courts. Whatever the security justification, the long-term impacts on counter-extremism are negative. More immediately, Britain has an obligation to its nationals; it cannot export its renegades for others to deal with, the kind of cynical statecraft we see from Russia with its “green corridor” from the Caucuses to the Levant. The oft-suggested international tribunal is likely unworkable: the International Criminal Court (ICC) has already made clear its unwillingness to try FTFs; at most the ICC would seek charges against the ISIS leadership responsible for mass-atrocities. If the British government did discontinue the practice of stripping citizenship, this would not obligate London to pro-actively seek repatriation of FTFs. The risk in leaving British FTFs in the custody of either the PKK or the Iraqi government is that it will allow ISIS a chance to break them free. The risks with Bashar al-Asad’s regime in Syria are even worse since Damascus frees and manipulates jihadi terrorists as part of its state policy. For those FTFs who do find their way back to British soil, one intermittently-floated idea is a revamped treason law, allowing the imposition of longer custodial sentences for those who join enemy forces. Without a predictably efficacious de-radicalization program available, keeping returnee FTFs in our sights and off the streets might be the best we can do.